APPLICATION: 2008 - 2015 CORVETTE, CAMARO, G8 LS3 ENGINES WITH T56/TR6060 OR NON-ELECTRONIC AUTOMATIC TRANSMISSIONS (TH350, TH400, POWERGLIDE, 700R4, 200-4R). 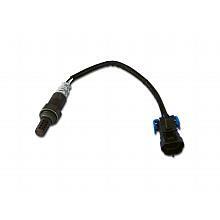 PARTS INCLUDED: Complete engine wiring harness, Instruction Manual NOTES: These harnesses are designed for retrofitting '08 - '15 LS3 engines and T56/TR6060 or non-electronic automatic transmissions into older muscle cars and street rods or newer non-emissions controlled vehicles. 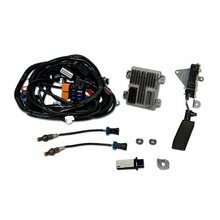 '08 - '15 LS3 (6.2L) STANDALONE WIRING HARNESS W/T56/TR6060 has been added successfully to your wishlist. APPLICATION: 2008 - 2015 CORVETTE, CAMARO, G8 LS3 ENGINES WITH T56/TR6060 OR NON-ELECTRONIC AUTOMATIC TRANSMISSIONS (TH350, TH400, POWERGLIDE, 700R4, 200-4R). NOTES: These harnesses are designed for retrofitting '08 - '15 LS3 engines and T56/TR6060 or non-electronic automatic transmissions into older muscle cars and street rods or newer non-emissions controlled vehicles. They are completely plug and play with four wire hookup (switched power, constant power and ground connections required). 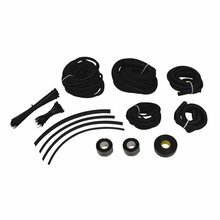 Harnesses are designed with a sliding grommet seal and 4 - 5 feet of length from the rear of the cylinder head to the PCM mounting position under the vehicle dashboard. A sliding grommet seal allows for professional, leak proof installation. Harnesses are professionally constructed from Brand New GM Delphi Connectors and TXL (Polyethylene Cross Linked) High Temperature Wire to GM Specifications. All harnesses are 100% Quality Inspected prior to shipping. Note that harnesses are for non-emissions equipped vehicles and do not include air pump or EGR provisions. All harnesses require PCM VATs removal, available through PSI. Please contact PSI for more information. There are currently no reviews for '08 - '15 LS3 (6.2L) STANDALONE WIRING HARNESS W/T56/TR6060, but you can be the first!